Good news, everyone! 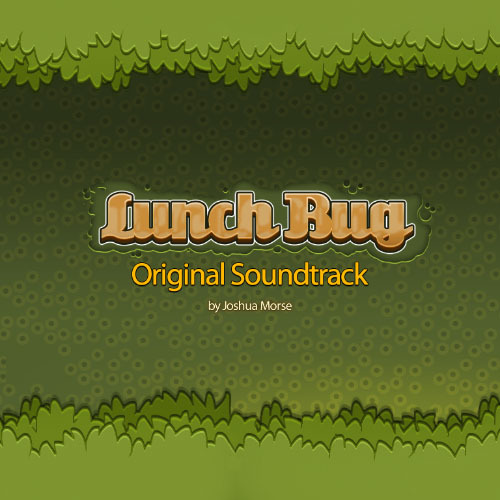 The Lunch Bug original soundtrack is now available on Bandcamp. Composed by indie game composer Joshua Morse, it’s yours for just $2 (USD). You can pay more if you like, which is of course appreciated. Thanks for supporting independent artists! 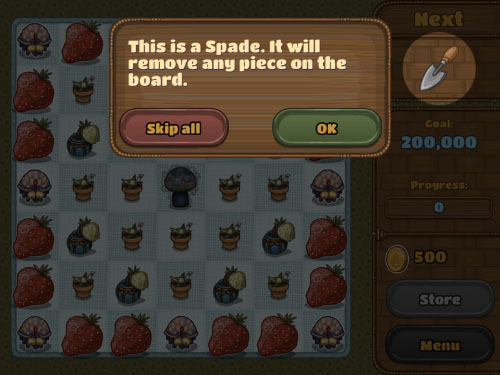 As you can see in the above screenshot, a tutorial window pops up on level 5, explaining the new Spade piece. As expected, many players are skipping the tutorials altogether. The problem with level 5 was that the Store button is disabled by default, assuming the tutorial would enable it at the appropriate time. But when players skipped the tutorial, the game forgot to enable the Store button. I’ve fixed this bug in version 1.20.19. Not sure if you’re on the right version? Try refreshing your browser and looking for the version listed on the title screen. 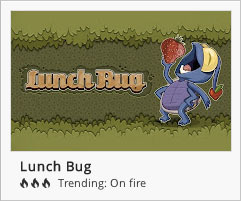 Lunch Bug is on FIRE! It’s great to be receiving bug reports from users, because that means people are playing the game! 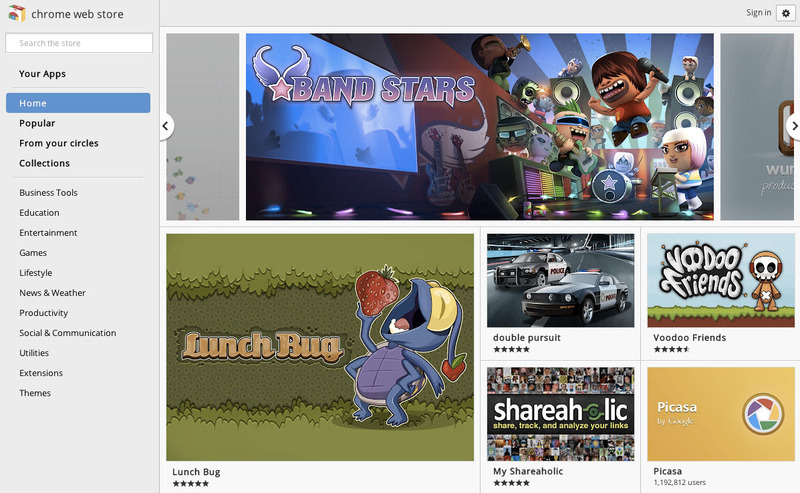 Did you see that Lunch Bug is currently featured on the Chrome Web Store? Well now it’s on FIRE (whatever that means, but we assume it’s a good thing). If you haven’t played it yet, you should right now on Pokki, the Chrome Web Store, or the open web. It works in modern browsers like Google Chrome and Mozilla Firefox as well as mobile browsers such as Mobile Safari and the Android browser. Have fun, and keep reporting those bugs! Lostcast is our podcast about HTML5 games. In episode 22, we talk about all kinds of goings-on in the HTML5 games space, including the Dragons Gameboard kickstarter, and the tools used to make HTML5 games. Don’t forget to comment if you want Geoff to blog more! I write code with MacVim and Geoff uses Sublime Text 2. What do you use? 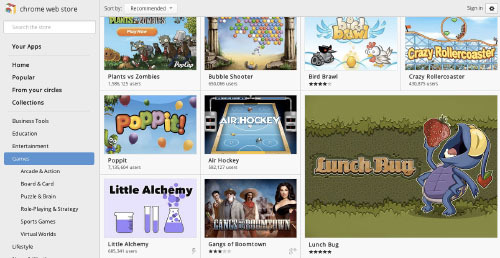 Lunch Bug now featured in the Chrome Web Store! 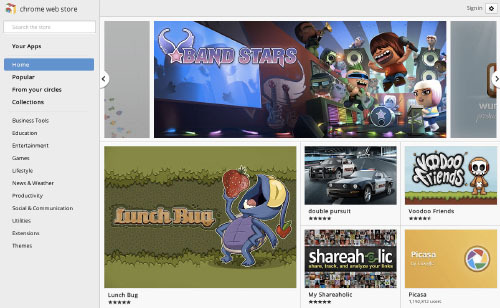 Please note that if you are one of the intelligent, attractive players who have already installed Lunch Bug, you won’t see it featured when browsing the Chrome Web Store. Not a Chrome user? Lunch Bug is also available on Pokki and the open web. Also try it in your mobile browser! The awesome team over at Brass Monkey has just launched a really interesting kickstarter called Dragons Gameboard. It’s an open source, virtualized role-playing game mat that allows up to 16 simultaneous players. Instead of role-playing on a tabletop, imagine lounging around on your couch, with the gameboard visible on your television set, and everyone interacting with their mobile phones. Sounds cool to me! As you can see from the above photo, they’ve got pins with Onslaught! Arena artwork that they’ve been using while developing prototypes. Part of the project’s fund includes commissioning new, free-to-use artwork from us in that same style. 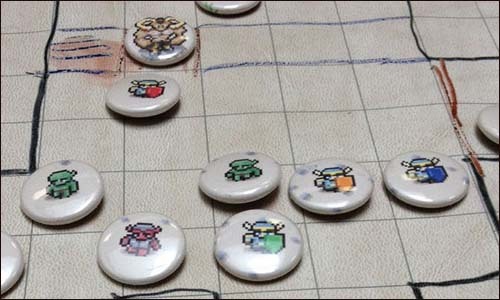 So by backing Dragons Gameboard you’ll also be helping our little game company out too. Anyway it’s a super cool project, created by a team that has proven they can build cool things. Speaking of which, have you played Onslaught! Arena on Brass Monkey? If not, you should! It’s really cool tech that “just works” and it’s neat to see Onslaught! integrated with it. Lostcast episode 21: What Windows? 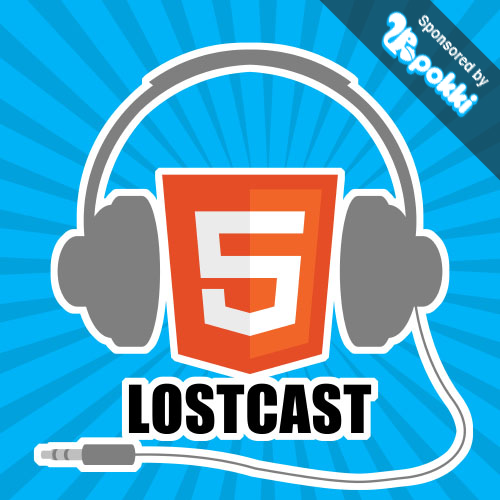 Lostcast is our podcast about HTML5 games. In episode 21, talk about an awesome arcade convention, the WHATWG/W3C split, Lava Blade, and more! Team2Bit was the team showing off their indie games at CA Extreme.